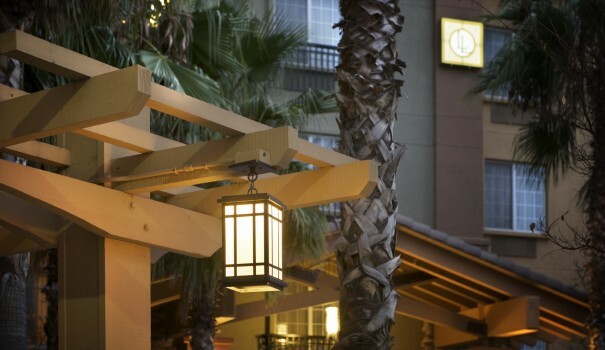 the Larkspur Landing hotel in Pleasanton, CA. Dublin, CA? Look no further than our Pleasanton hotel! is just minutes away from California’s Wine Country. If you’re looking for hotels in Pleasanton, CA, Larkspur Landing Pleasanton is the perfect destination for both business travel and vacationers alike. Our hotel has everything you need to feel comfortable and relaxed, whether you’re visiting for a day or enjoying an extended stay. Each of our all-suite accommodations features a fully equipped kitchen, separate living and sleeping spaces, and complimentary WiFi. We’re centrally located in the Bay Area, and just minutes away are the charming cities of Dublin, Livermore, and San Ramon, as well as the lush vineyards of California’s wine country. Our Pleasanton hotel is also ideally situated for traveling healthcare professionals, with major medical facilities like the Kaiser Permanente Medical Offices, ValleyCare Medical, and UCSF Medical Center all less than five miles away. No matter what brings you here, our staff always looks forward to welcoming you back to our hotel in Pleasanton, CA—and your home away from home. In addition to providing luxurious all-suite accommodations, the Larkspur Landing Pleasanton hotel is the perfect place to hold your next meeting or event. Plus, with our full range of amenities, you can be sure that every stay is as comfortable as home.